time for a drop and tint! 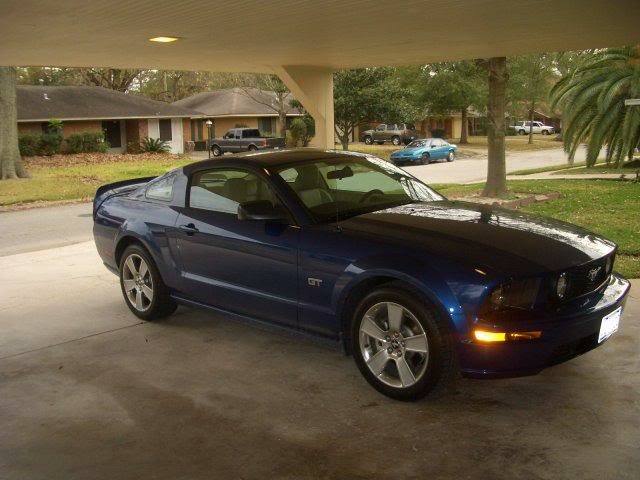 whats everyone going with on the 05-06 GT? Find More Posts by Robert B. How low are you wanting to drop it? Roush and Steeda make a kit, so does Eibach and FRPP(which is the same as the Eibach Pro kit). I would probably go FRPP if its cheaper than the Eibach Pro kit. Supposedly BMR has some stuff now too. Call Tommie Vaughn and see if they carry the FRPP kit. I would go with the FRPP, they are about 100 bucks cheaper and work very well.. Does H&R still make springs for Mustangs? I had them on my 96 and they rode excellent. I'm not sure about Eibachs, those ride like a covered wagon on f-bodies. We like the Hotchkis springs mostly for those cars. Depends what he wants to do with the car. Just for looks, or does he actually want to handle? If he wants to handle, you know my answer, H&R all the way. I've had mine for about 4 years now and still love them. I would go with H&R springs. They seem to give the best drop and settle less. I would say go with kenny brown but it seems as if he has closed up shop for good.